The tour starts from your hotel or from the place you have chosen. 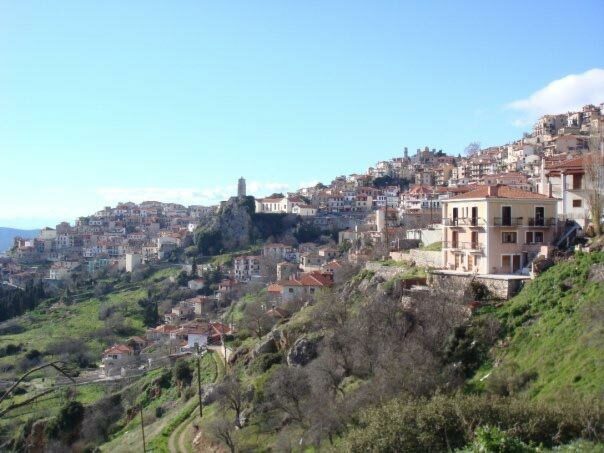 On our way to Delphi, we will pass from Thiva (one of the most ancient cities of Greece with great history) and then from the town of Livadia. Arriving at the archaeological site of Delphi, at the evocative natural landscape formed between two rocks, is the sanctuary of Delphi, the most famous oracle of Ancient Greece where PYTHIA was giving her oracles. 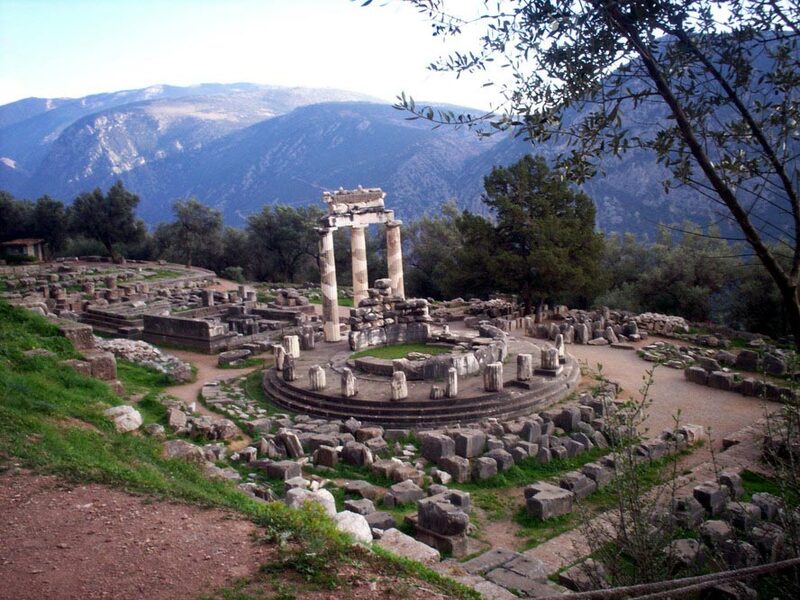 According with the Greek mythology, Delphi was the "Navel of Earth". We will visit the Temple of Apollo, the Treasury of the Athenians, the Delphi Archaeological Museum, the Castalian spring, the ancient Gymnasium and the ancient Theatre. 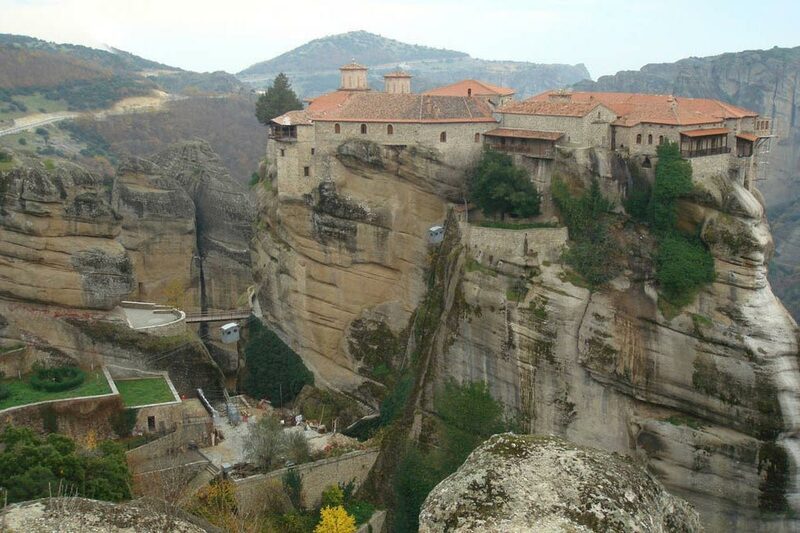 After we will visit the picturesque Arachova, one of the most beautiful villages of Greek countryside with its traditional shops, cafes and taverns with a unique view of the landscape where you can enjoy your lunch. 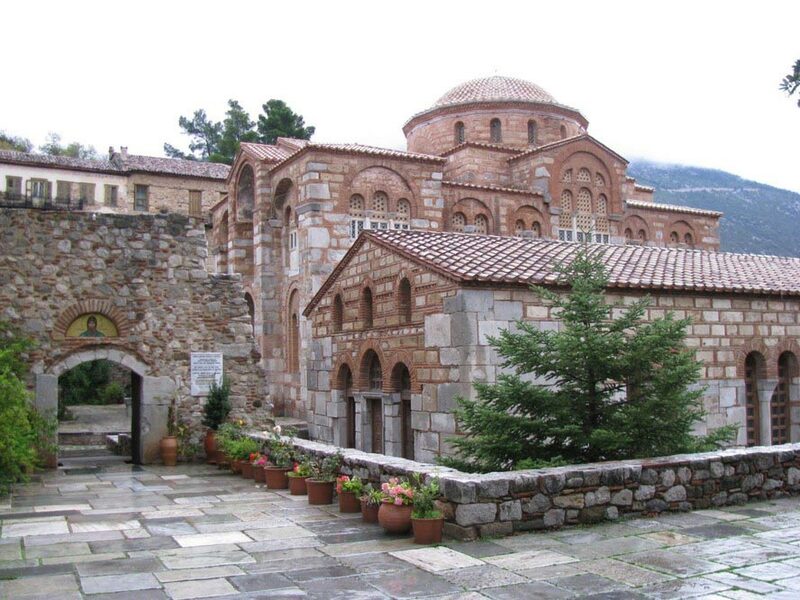 After Arachova, we will go to a slope of Mount Helicon where is the monastery of Saint Loukas. It is one of the most important monuments of Middle Byzantine art and architecture and it is listed in World Heritage sites of UNESCO.